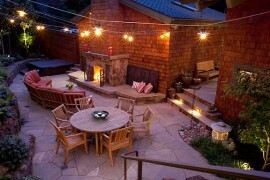 Now that cooler weather has set in the time for burning the fireplace and settling into your warm home is growing near. Autumn fireplaces are the perfect place to house seasonal wreaths, garlands and especially decorate the mantle with festive decor. 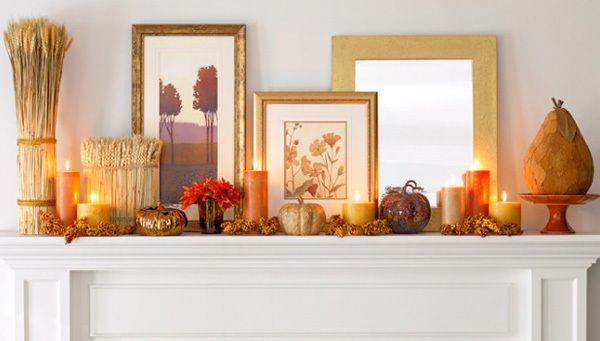 Whether you want a traditional mantel adorned with natural and organic finds from the outdoors or you just want a simplistic representation of fall colors, here are a few ways to bring autumn to your fireplace mantel. 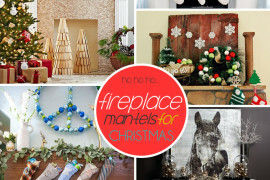 With the ever-changing colors outside, why not decorate your mantel with nature’s presents! Leaves, pinecones, straw, dried corn, and even fresh aromas of cinnamon and clove candles are a perfect way to bring warmth to your mantel. 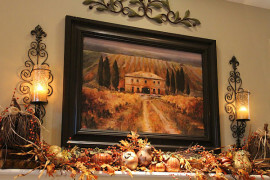 Mirrors and framed pictures can also highlight autumn themes. Try to keep a color theme throughout your mantel so the eye doesn’t get distracted and flows across your entire fireplace. Stay with 2-3 colors in complimenting fall tones for a unified look. 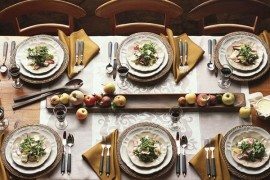 If you love the colors of autumn but don’t care for the traditional decor, how about bringing in color in a non-traditional way? 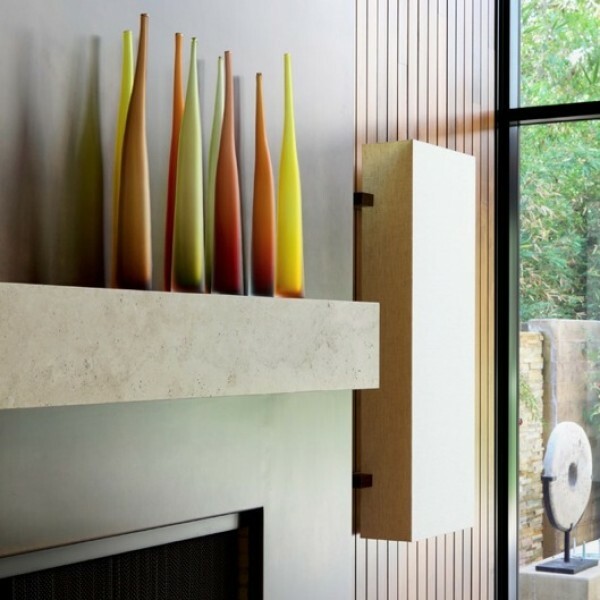 Use modern decorative blown glass vases to compliment your minimal mantel. If you’d like bring in one dynamic piece of decor. Love how the duck and simple decorative floral vase in this Houzz mantel draws the eye but in a refined way. 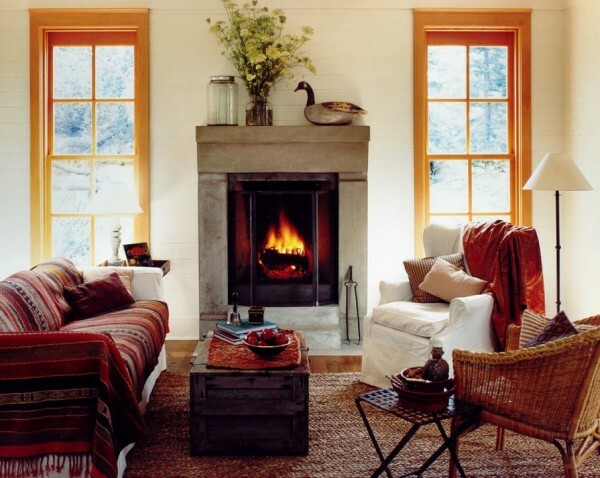 With a bold fireplace mantel keep the autumn decor subtle as the beauty is in the minimal details. 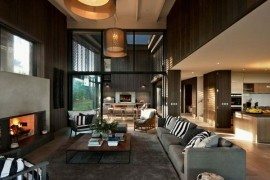 Depending on the size of your mantle and the style be careful to keep the elements in proportion and scale to the rest of the composition. Choose vases, mirrors, and containers that compliment each other. Consider grouping uneven groups together, for examples groups of 3 or 5 will give a more natural composition. 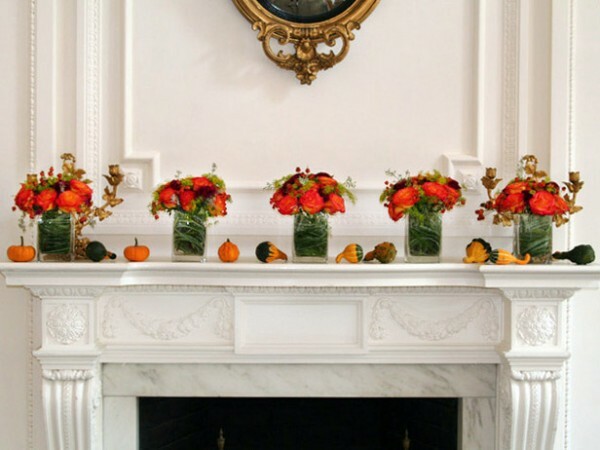 Consider using fall inspired garland, flower filled vases, and miniature pumpkins and gourds give an informal way of bringing organic elements to an empty mantel. If you want to group varying size candles together, consider using a common thing amongst them. Connect them by color, height, or use complimentary colors to unify the autumn decor. 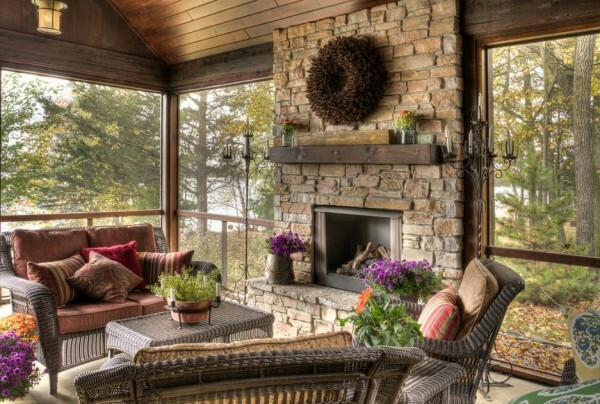 While you may only be thinking about your interior fireplace, don’t forget about your mantel on your outdoor porch or located in your yard. 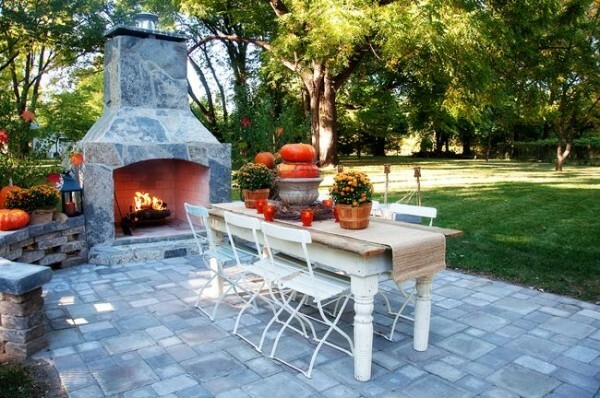 Fall is one of the best times to entertain outdoors and enjoy the crisp air with friends and family. When your outdoors let nature be a natural backdrop and play off of it. If you live in a wooded area, bring branches and twigs and group them on your outdoor mantel for a natural eye catcher. 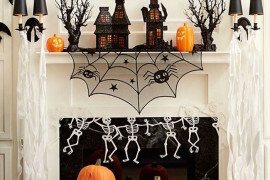 A matching wreath or garland, or leaving the mantel bare and using decor on a large hearth or flanking both sides of your outdoor fireplace may be a great option as well. This fall warm up your interiors with a mantel that speaks volumes about your hospitality and your love for the outdoors. 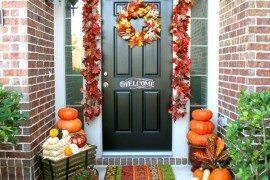 Whether you love the traditional hues of the season with rich organic embellishments or you choose to stay refined with a hint of color, your home should express your personal love for this fall season.